Shah Rukh Khan has finally spoken! The King of Hearts finally puts out a message to all his fans and requests them to put an end to this #ShameOnKaranJohar saga. It has been quite some time since Twitterati have set the internet on fire, ever since KJo liked a post which a netizen posted abusing SRK. A screenshot of the same was taken and flooded on the internet. And the war on social media has started since then. Fans of SRK even demanded KJo to apologise to the superstar. Shah Rukh Khan has tweeted saying, “make love not war”. 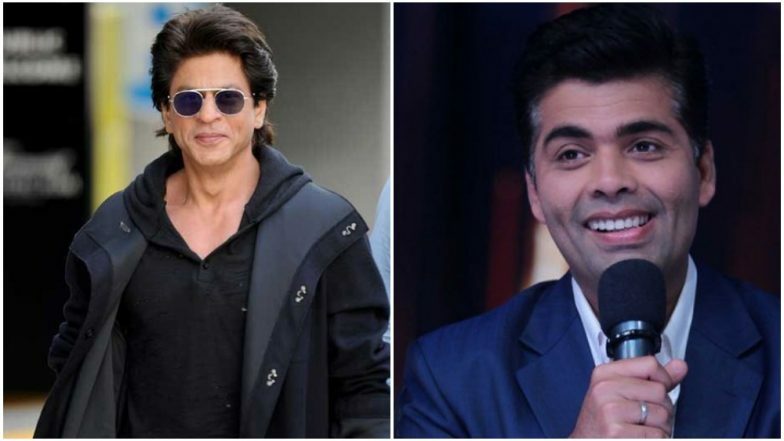 #ShameOnKaranJohar Tops the Trends After Karan Johar LIKES an Offensive Tweet on Shah Rukh Khan. Karan Johar tried explaining to Shah Rukh Khan fans that it was a technical error with his Twitter account. The filmmaker who also is SRK’s bestie explained, “Guys having a technical problem with my twitter account! Strange things are going on!from uploading shoe picture and gibberish to liking tweets I haven’t even read and would NEVER even acknowledge! Please bear with me and I apologise for any inconvenience! Sorting it out asap!” But that really didn’t help. Twitterati’s Focus Is on #ShameOnKaranJohar Instead of Kalank’s ‘First Class’ Jodi Varun Dhawan-Kiara Advani. But a message from Shah Rukh Khan might just help Twitterati to calm down, we hope. King Khan has tweeted, “I hate clarifications on SM. @karanjohar is technologically challenged but has other good qualities like his taste in clothes! ?Just like Life, twitter doesn’t come with instructions, so mistakes r natural....& also he has fat fingers. Go easy all, Make Lov not War...it’s more fun”. Seeing this tweet, fans just started commenting – “Bade Dilwala”, “Aapka hi intezaar tha”, “Sir,aap bas hadd se zyada ache ho”, and so on. Fans of SRK were so miffed that they demanded for all films and songs under Dharma Productions to be boycotted. In fact there were few who even labelled Karan Johar as ‘third class’ after the release of the song “First Class” from Kalank. But let’s us hope, fans of SRK will now calm down.